For four decades U.S. foundations have had the ability to make below-market-rate investments in activities consistent with their missions and count these investments as part of their annual charitable distributions. 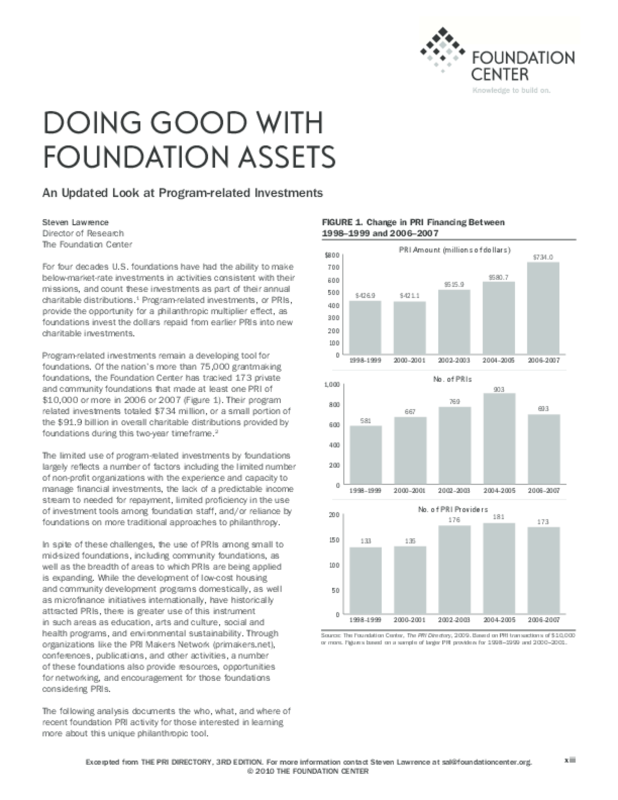 Of the nation's more than 75,000 grantmaking foundations, the Foundation Center has tracked 173 private and community foundations that made program-related investments (PRIs) totaling $742 million in 2006 or 2007. While the development of low-cost housing, community development, and microfinance have historically attracted PRIs, there is growing use of PRIs in areas such as education, arts and culture, social and health programs, and environmental sustainability.